12:36 a.m. - Interstate 680 and N. Meridian Road, Steven Queen, 58, of McDonald, charged with driving under the influence. Police say they saw Queen's car parked on I-680 without hazard lights on. They say when they approached him, he was slumped over asleep with the vehicle in drove and his foot on the brake. According to a police report, he did not complete a field sobriety test, although he did submit a blood test. Police say he has had eight prior OVI convictions. 8:44 p.m. - Mahoning Avenue and N. Raccoon Road, Christine Joseph, 48, of Youngstown, charged with possession of drug paraphernalia and driving under suspension. Police say they pulled Joseph over and found a pipe, drug items and four white pills. 11:02 p.m. - S. Four Mile Run Road, Desmond Duvall, 21, of Youngstown, charged with drug abuse. Police say they pulled Duvall over for a traffic stop and found marijuana on him. 1:13 a.m. - 1700 block of Raccoon Rd., David Johnson, Jr., 21, of Youngstown, charged with drug abuse. Police say they received a call about loud music. When they arrived, they found marijuana on Johnson, Jr., according to a police report. 3:39 a.m. - 5400 block of Clarkins Dr., Julie Smith, 41, of Cleveland, charged with soliciting, drug abuse, possession of drug paraphernalia and possessing criminal tools. Police say they responded to an advertisement online, offering sexual acts for money. When they arrived at the location, they were met by Smith who also had methamphetamine, a pipe and the cell phone that officers called, according to a police report. 12:01 a.m. - 100 block of Rosemont Ave., reported home burglary. Disclaimer: These reports don’t represent all calls made to the Austintown Police Department. 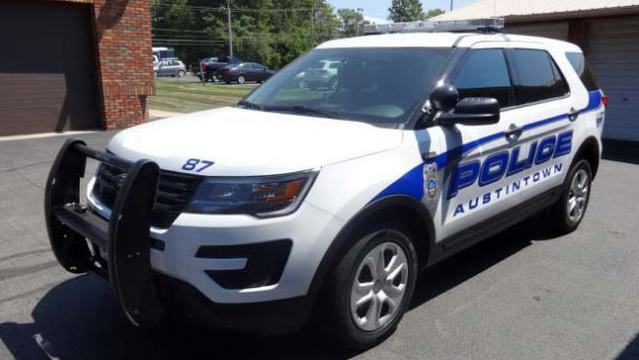 This public information was provided in reports from the Austintown Police Department. Items reflect charges filed, not convictions.